The day dawns closer, and Jose Mourinho will be a man in worry. After a campaign that, despite stellar spending, has only been slightly better in terms of Premier League points to boast of, Manchester United will be eager to lift one piece of silverware. The FA Cup is United’s sole route to that feat at the moment, and Tottenham is the team that stands in their way during the semi-finals. 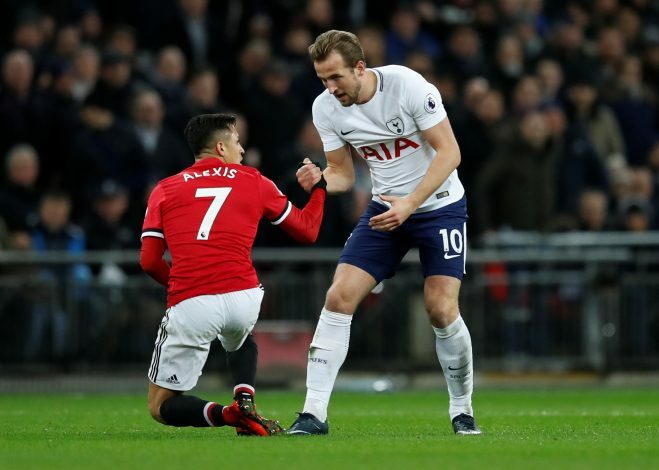 Needless to say, a strong battle will be put up by both sides, and only the technically superior and less-fatigued team will be capable of making the cut to Wembley one more time. Jose Mourinho has a selection dilemma at hand, and as of now, has only confirmed that Matic will be a sure start for the game. However, the 2-0 victory against Bournemouth is bound to have cleared his options as to whom to play and whom to bench, if chosen at all, for the crucial encounter. Romero is still definitively out of the game, which means De Gea will be assured a start. Meanwhile, the antics of Pogba and Herrera against Bournemouth are bound to redeem their dreadful showing against West Brom, and as of such, ought to be worthy for a start, if for nothing else then to keep up the 4-3-3 shape. Martial, though, will likely be benched, with Sanchez having been rested during the Premier League game. Lingard’s Wembley luck might garner him a start as well. Akin to United, Pochettino’s lads also have no silverware to boast of, and will be eager to bag the Cup. While their Premier League showing has been decent and now seems likely to secure them a 4th place finish, a Cup win will be bound to round up their campaign quite well. Danny Rose might be doubtful for the game due to match-fitness issues. Meanwhile, Dembele might get the pick over Sissoko for the game. Similarly, Lamela is likely to replace Lucas Moura, as the former was rested for the Premier League encounter. No other major injury concern afflicts Spurs apart from Winks and Walker-Peters.